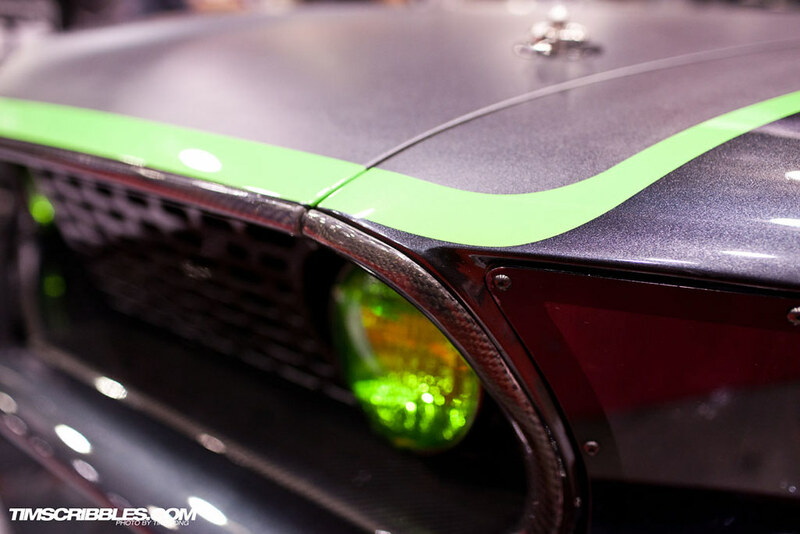 So far the great coverage of SEMA was presented by Matt and now I’m going to finish it up. 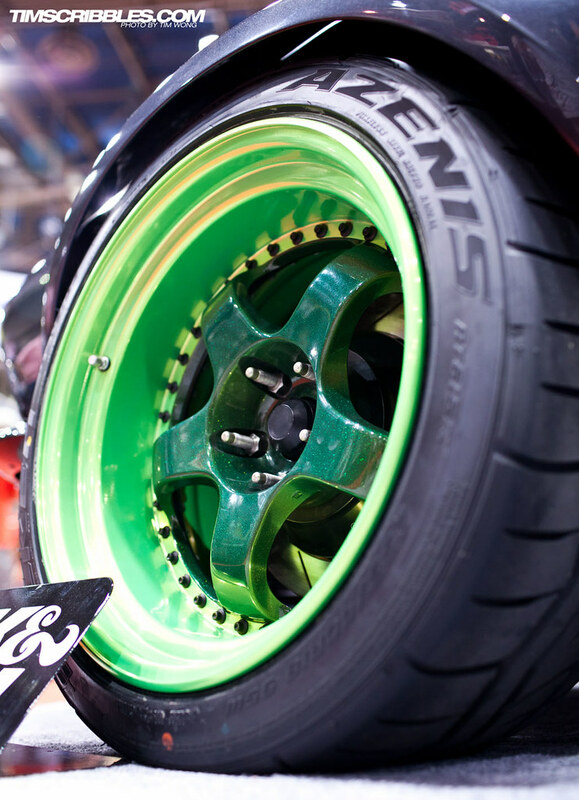 The cars I will be presenting are some of the cars that really stood out amongst the crowd and some really go against the norms of the modern day car scene here in the States. 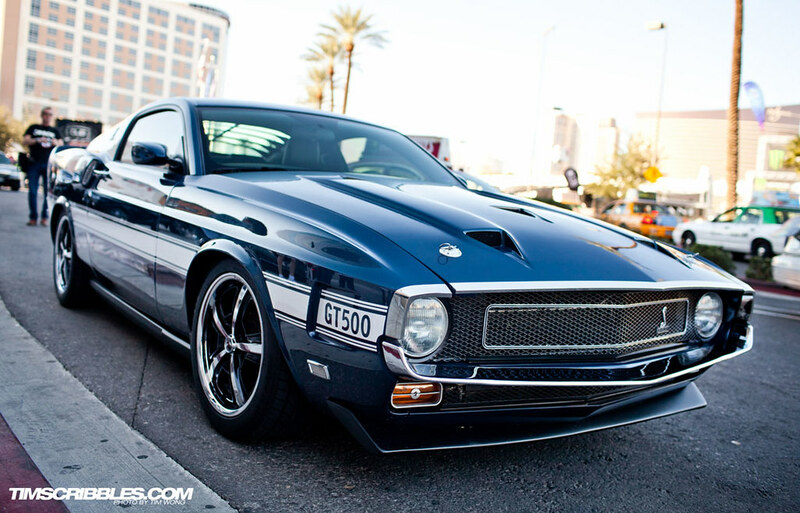 To start things off, this Shelby GT500 is technically not part of the SEMA show since it was parked outside, but it a pretty rare car you don’t see too often. 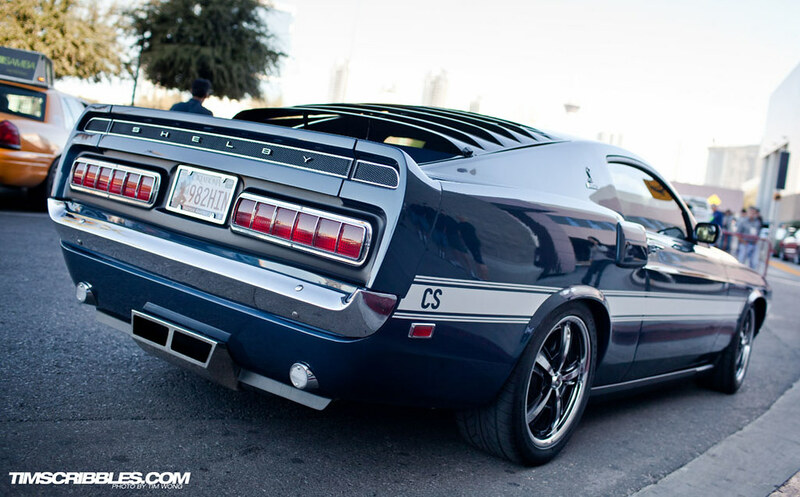 The bulging lines and body make the car seem much more aggressive than your average Mustang. Flat or matte paint have been increasingly popular lately in the car scene and I think it works pretty well. This Audi A4 Avant is a pretty good example of utilizing a flat green paint on the car which really brings out the shiny gold Rotiform TMBs. The color matched roof storage compartment is a nice addition that flows with the car. 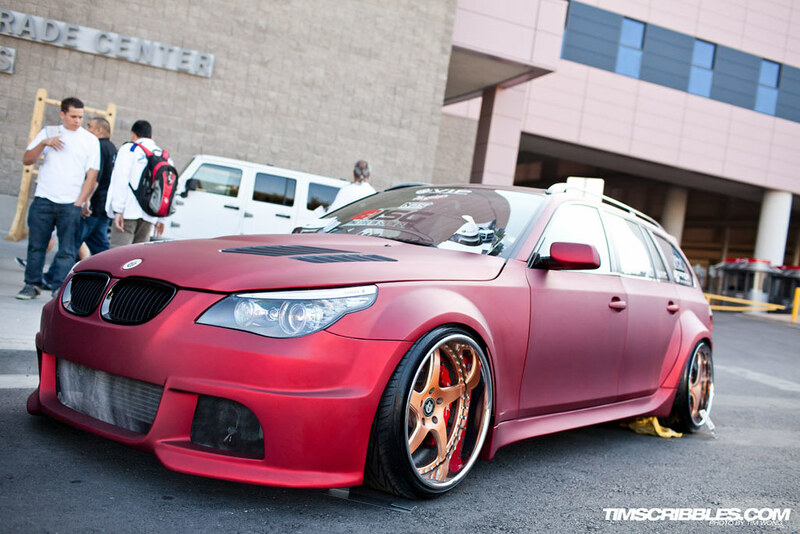 Another excellent example of matte paint working well is this beautiful matte red BMW 5-series wagon. This unique paint reflects lights in a incredible way than I might even say puts the conventional gloss paint job to shame. The wide body and the wide stance really makes this car work well and sit aggressively. 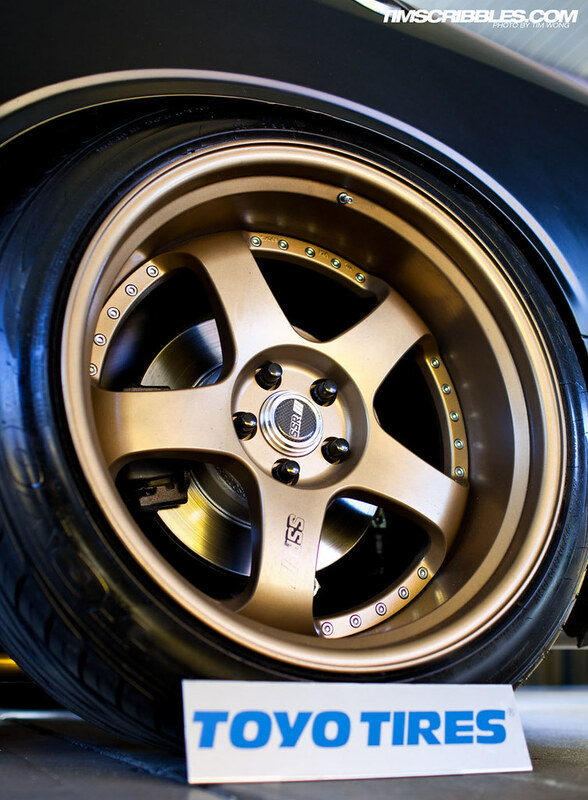 One of my favorites at the show was Jon Sibal’s Dodge Challenger fashioned after RWB’s well know styling with the matte black paint and the bronze SSRs. Quite the one of a kind Challenger that really goes against the tradition muscle car and toward a much more Japanese style. 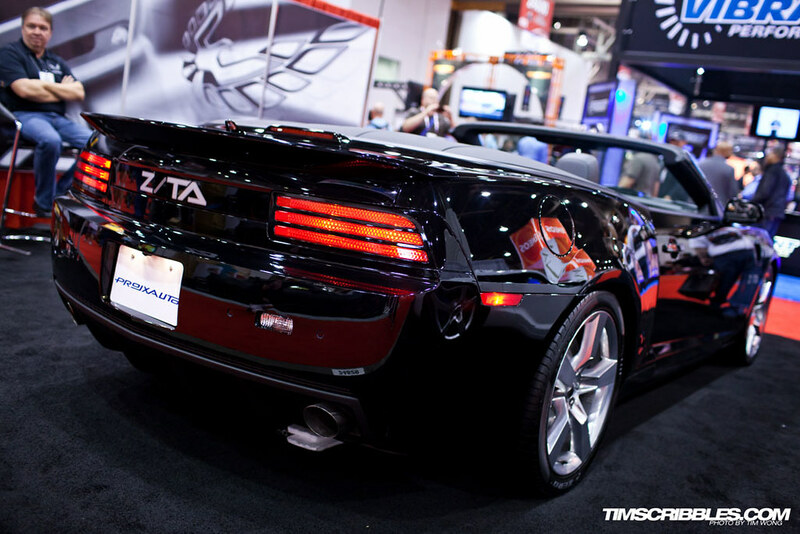 After seeing some coverage of SEMA from other sites, I can say that many people didn’t like this car. Some even said it was one of the “ugliest” cars at SEMA, but I found those “top 10” lists really close minded to different ideas and even ignorant due to their lack of really looking at the cars. This first generation Subaru Impreza really made me have some mixed reactions. The car had cool things going on, but it was really all over the place and didn’t really have a consistent theme going on. One of the things I thought was unique was the comic book collage wrapped on the roof. 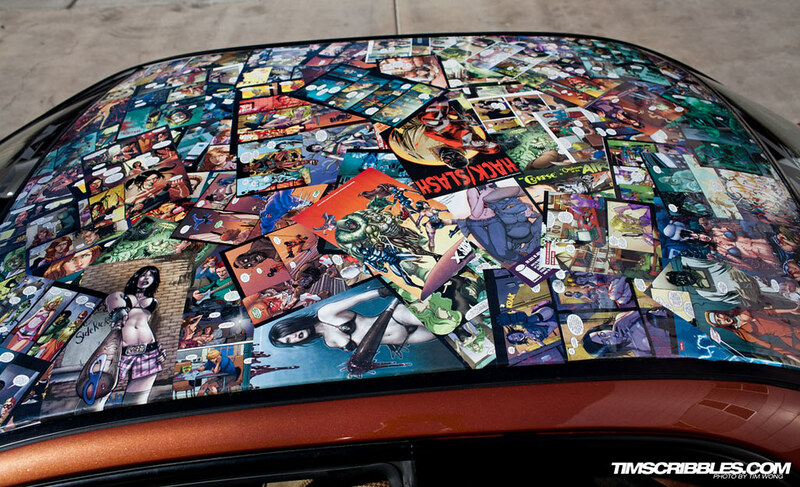 It’s like a more thought out extension from the whole “sticker bomb” idea and does make the car more personal. This is where things get really all over the place. 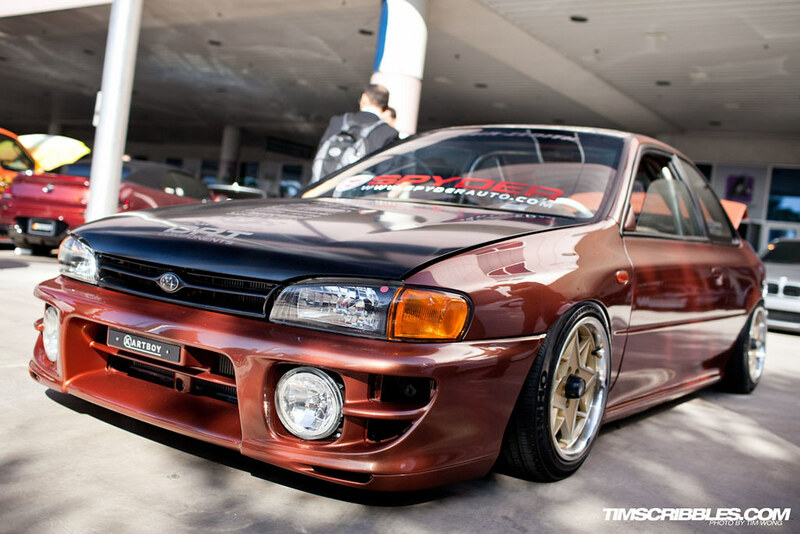 From the front you see a slammed “hellaflush” style car with a lower end car with old school sport wheels and a black hood. Then you get to the back with air suspension and a diamond stitched leather wrapped trunk which is something you’d see in the VIP scene. 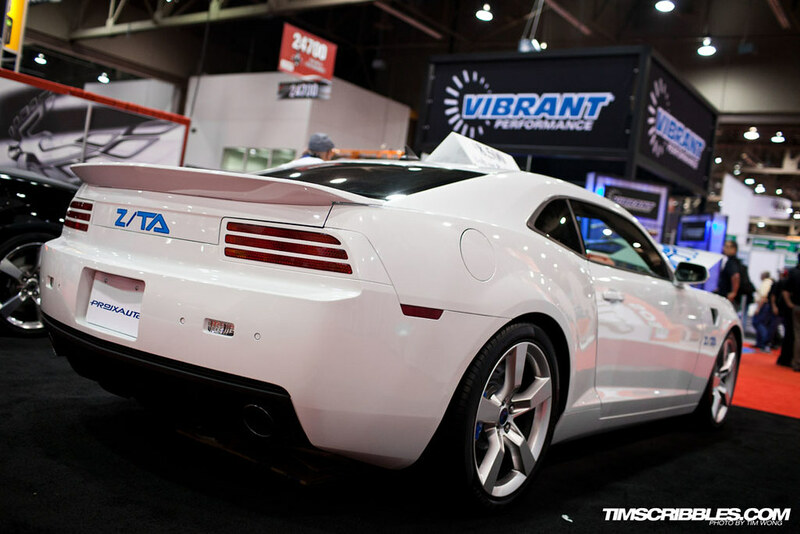 One of the big things I saw going on at SEMA was kits for the current generation Camaro that complete altered the look of the car. 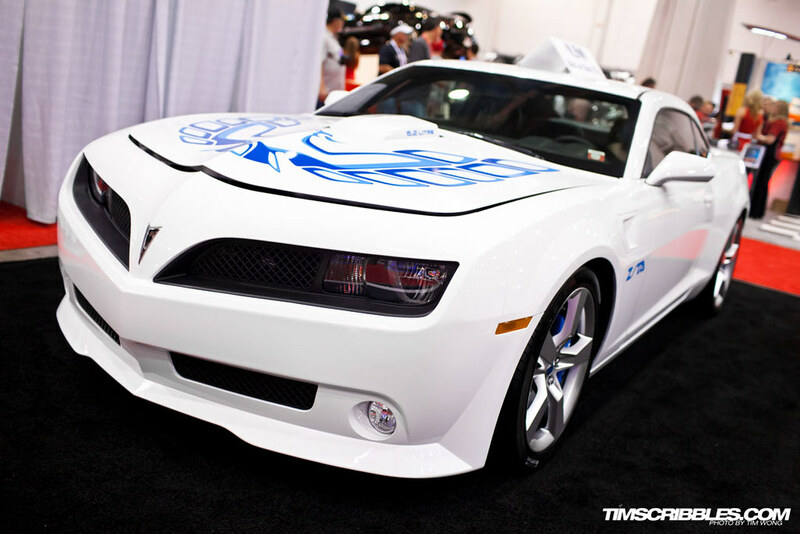 This particular kit transforms the Camaro into a modern day Firebird and it’s no cheap conversion either. This kit looks like it bolts right up with the Camaro’s body and flows naturally with car’s lines. 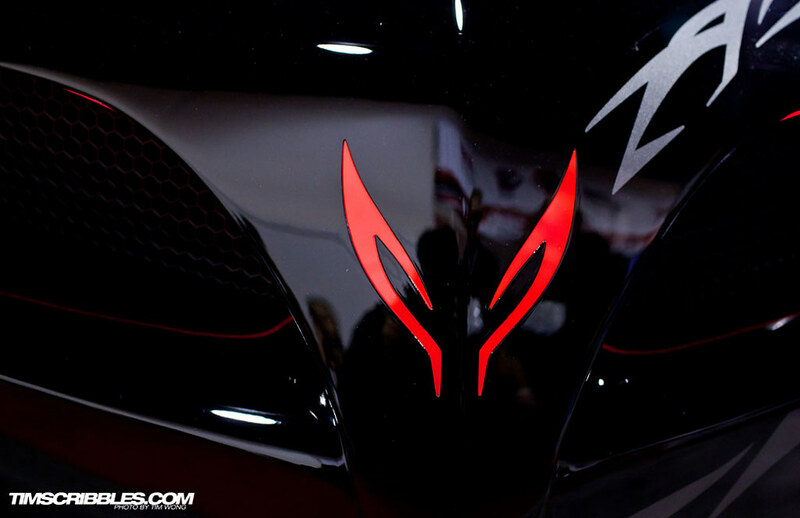 The modernized logo is an elegant touch too. Even the wheels work well. 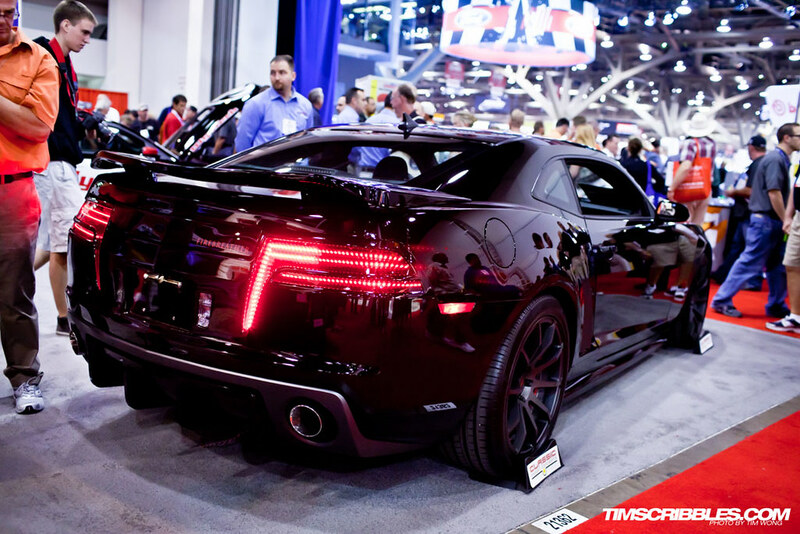 The LED tail lights are just beautiful. No doubt this is just one really good looking car. They even had a kit that transforms the Camaro into a Trans Am which doesn’t look nearly as good as the kit above, but its nice to have options. This kit also comes in black. 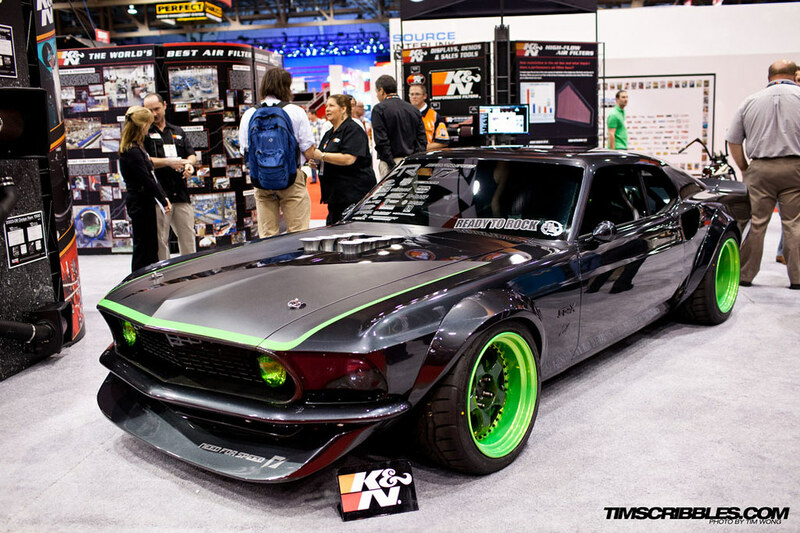 Another big hit at the show that made a big impression on me was Vaughn Gittin Jr’s 1969 RTR-X Ford Mustang. Even since I saw this car make it way around on the internet, I couldn’t get enough of it. Being a big muscle car fan and even more a 60’s Mustang fan, the RTR-X really hit home with me. 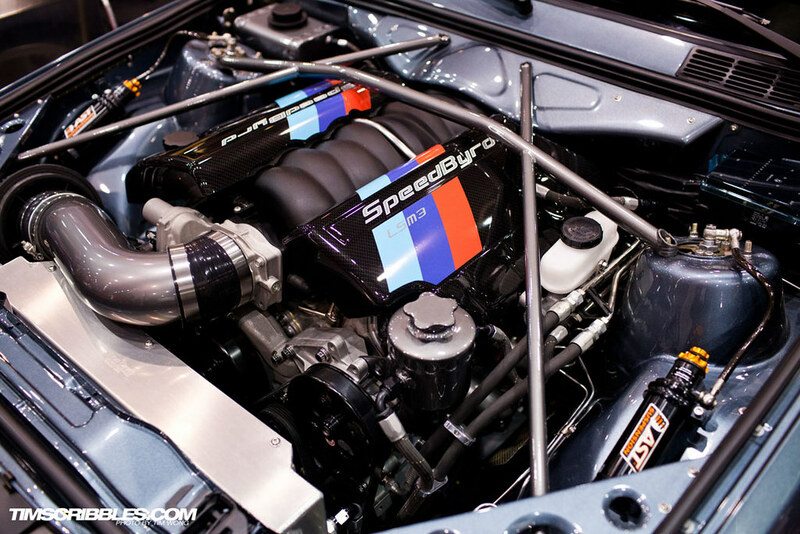 A modernized build of a classic was incredible. The wide and aggressive styling of this car is almost overwhelming. 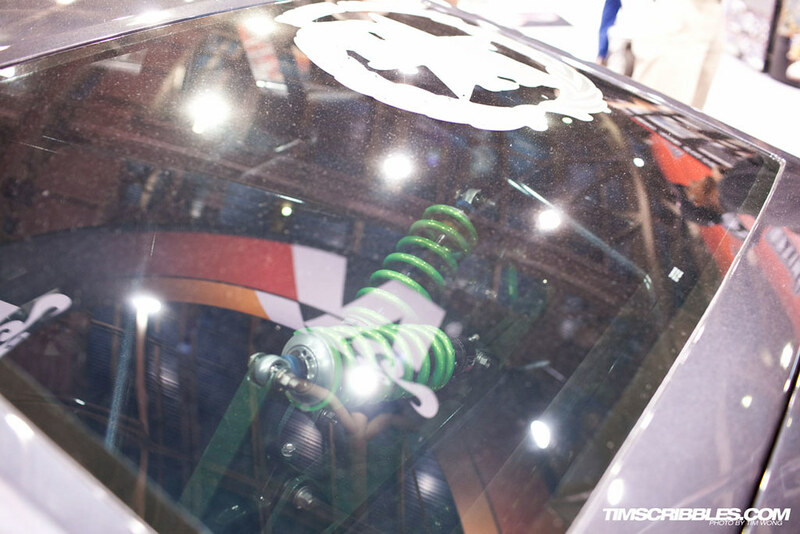 Clearly, this car isn’t just all show and no go. 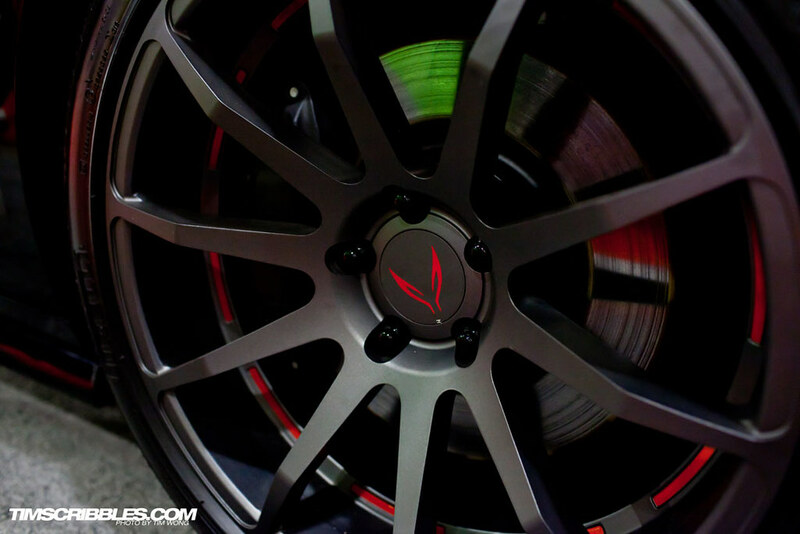 Gitten’s RTR-X is built to be driven and driven hard. You can see the modern suspension in plain view in the rear hatch. This is another car that went against the conventional car build. 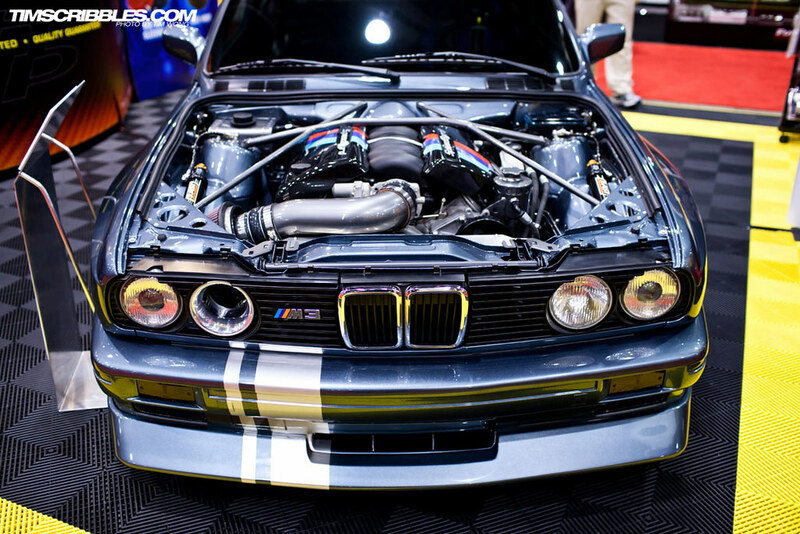 A E30 M3 which is a cult classic in the BMW world is swapped with a LS3 engine and then dubbed the LSM3. 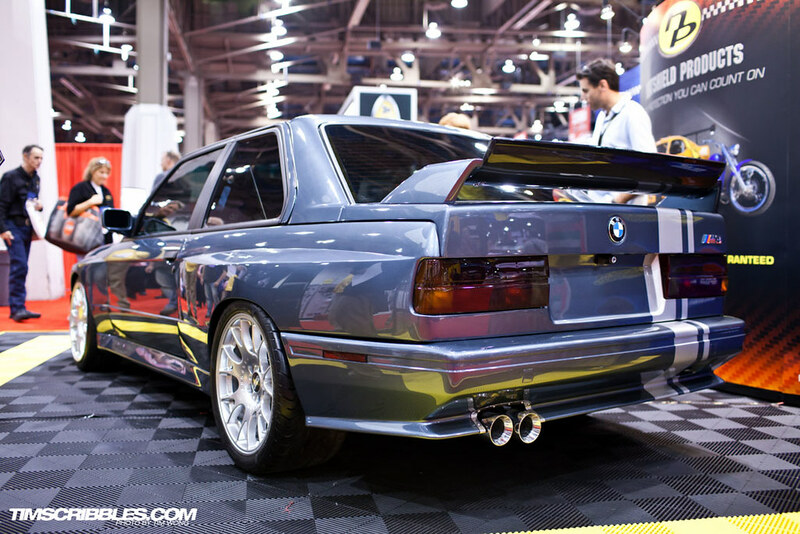 It also has ATS coilovers, Bimmerworld sway bars, 14″ Brembos, and set of 18″ BBS CH wheels. Ending it here for today and will finished the rest soon. This entry was posted by timscribbles. Reblogged this on Jono Hodson.